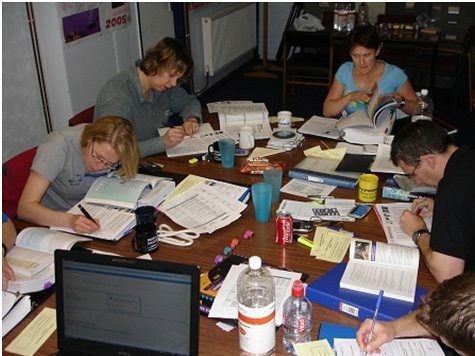 Become an effective and popular instructor by taking your IDC in UK, Egypt or Spain with Steve and Janet Prior. PADI Platinum Course Director Steve Prior and his wife, Janet, are passionate that every single candidate is treated as an individual. Hundreds of past students have sent testimonials praising the unique teaching style and materials that has helped them not only pass their Instructor Exam at the first attempt but also given them inspiration to be a fantastic instructor right from the start of their new adventure. Steve helps every single candidate individually prepare for their IDC by marking mock exams and helping them where any weakness lies. This makes every IDC a very relaxed and fun place where candidates can learn to become efficient instructors. Further testimony lies in the fact that over 30 pct of all new instructors have gone on to become IDC Staff Instructors. Many more have progressed to Master Instructor. Steve has been a PADI Course Director since 2000 and has over 2000 Instructor level certifications to his name. Not only has he reached Platinum level every year since its inception, in addition PADI has rewarded him with the coveted PADI “Contributions to Diver Education” award in March 2009. He is an Instructor Trainer for 20 PADI specialties and is an EFR Instructor Trainer. Don’t teach Courses, Teach People. We are determined that our candidates are treated as individuals, and equally determined that we teach them to treat their future customers the same way. Steve has been diving since 1985, and has owned and managed Dive Centres in UK, Egypt and Indonesia. Group dynamics and relaxed atmosphere encourages lots of laughter and “in Jokes” every single day of every single IDC!! We only teach IDC’s in Dive Centres whose facilities reach our own high standards. A HUGE thank you to you and Jan for everything you’ve done for me. I’ve had a fantastic time with you guys and your teaching methods are second to none. Your overwhelming support & positively during the IDC/IE was fantastic. We couldn’t have done it without you guys. Your enthusiasm for teaching people and your ability to open people’s eyes to alternatives is just amazing. I can’t wait to start teaching, I’m going to do it “The Prior Way”!!! Thanks so much. Caroline Smith. Most Sports (perticularly watching Rugby) Walking Reading Music Art. I am passionate about teaching Scuba Diving, so I am passionate about teaching people to teach Scuba Diving! More of the same I hope! I am very contented with my life. I have a great work-life balance, my only ambition is to keep 100% customer satisfaction. What does IDC Guide think of Steve and Janet? 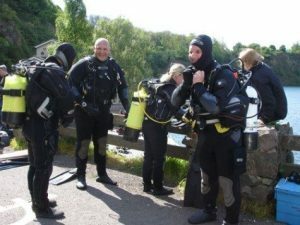 Quite simply the most professional and knowledgeable Instructor trainers we have ever met, you will meet plenty of diversand Instructors that have nothing by praise for the ‘IDC dream team’ of Steve and Janet. If you are a Divemaster and want to do your IDC in the UK or in Egypt or Spain then look no further that Prior Learning PADI IDC. What do his IDC students think of Steve? Why Does Steve do his PADI IDCs with Ocean View? Ocean View can offer you the ideal facilities for a great IDC. The first thing that you’ll notice as you walk through the large well stocked showroom is that the friendly staff are there to help you, and make sure that you have everything that you need. You’ll soon make friends with all of the staff, and they in turn will all have genuine desire for you to become the very best instructor that you can be. Ocean View has its own Swimming pool right on site and attached to the shop. The pool has been custom built for Scuba Instruction. It has two depths, 1.5 metres, and 4 metres. The Pool is always kept at around 30 degrees. It is perfect for IDC’s. It is so very easy to schedule pool time exactly when we need it, rather than rely on municipal pools that are available late at night and often a long drive away. Another bonus at Ocean View is the large drying area, so there’s no need to put wet scuba gear into your car boot. With its close proximity to Brighton, there is plenty of good value accommodation and good value cafes and restaurants close by. Relaxing at the end of the day is an important part of the IDC. Ocean View has its own bar on site, which makes a welcome watering hole. Alternatively, if you like to walk or jog to relax, the Dive Centre is situated only 100 metres from the sea front promenade, so you can exercise safely in the fresh seaside air. Want to see what goes on during a Prior Learning IDC class and IE Exam?